When it’s time to recycle your old electronics, you have two options: take them to an electronics recycling service yourself, or have them shredded. So which should you choose? Key differences in cost, convenience, and security make shredding the best way to recycle old electronics. Shredding services offer recycling as a part of the service. How much you pay depends on which service you choose. Mobile shredding costs $100 for 300 pounds and drop-off shredding costs on average $1 per pound, so you only pay for what you need. 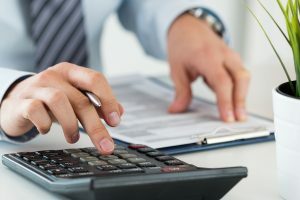 Because the rate for electronics recycling often differs between services, it can be hard to figure out how much you will be paying. Some offer a per pound rate, while others use a flat rate based on the device being recycled. If your old electronics are large and heavy, the cost of recycling them yourself can quickly add up. Electronics recycling services are usually only available at specific places and may not be offered near your location. If you have large devices like old TVs or computer monitors, you will be stuck transporting them and handling them yourself. Shredding services, on the other hand, are offered in many locations. Mobile shredding trucks can even bring the shredding directly to you. 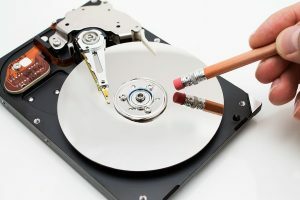 If you choose to recycle electronics yourself, it’s very important to remove or erase old hard drives to protect your data. But even a properly erased hard drive can be recovered with special software. Shredding solves this problem by physically destroying the hard drive itself, offering the most security and saving you time. Mobile and drop-off shredding services can also provide a certificate of destruction. These certificates minimize liability in the event of a data breach. They also provide peace of mind by documenting the when and where of your document shredding. Have Electronics that Need Recycling? Shred Nations partners with secure shredding and recycling services throughout North America. Call us at (800) 747-3365 or fill out our form to get free quotes from a shredding service near you.